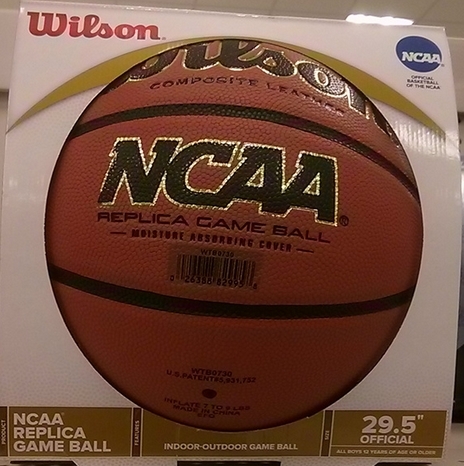 NCAA Replica is the best-selling model made by Wilson. A pretty impressive feat considering the overall excellent quality of their products. We wanted to find out what makes this ball stand out from the competition and why the general is user rating so high. 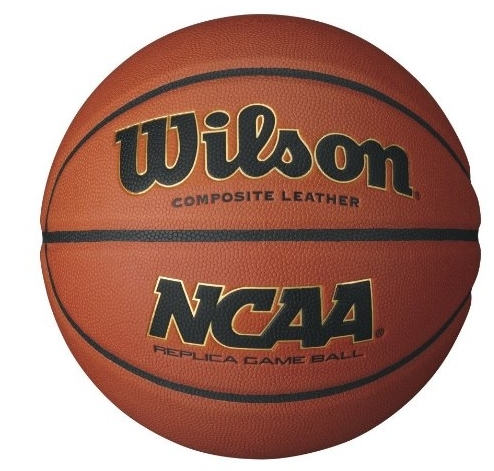 Wilson NCAA Replica balls are covered with a composite leather cover that gives them a really soft feel. You might think that this is impractical for an outdoor use, but you would be wrong. This model fares well on all playing surfaces and the longevity has been proven over the years. A dense pattern on the cover makes this ball stick to your hands, even if you don’t get the perfect pass. The Cushion technology used in Wilson NCAA Replica also plays a big role in the success of this model. It makes it easier to catch and the bounces of the rim are softer, which can increase your shot percentage. It also makes this ball reliable and predictable. Every bounce ends up exactly where you expect it to. The grip is excellent and the handling feels natural. This is probably the main reason behind the popularity of this model. Players like to dribble the ball more these days and this ball is used a lot by coaches, especially for younger generations. One of the unique features of this ball is a wide channel design. This feature really helps with the control of the spin while shooting. Better spin control makes your shots consistently more accurate. The channels are also deeper which makes handling easier for players with smaller hands. Another feature rarely mentioned is the slightly more pinkish color of this ball. During the testing of this model, we spoke with some of the players who were already quite familiar with it. Most of them were simply satisfied with the longevity of this ball. Some of them even stated that it is the best investment they made by far. So the reasons the players like it were quite clear. We also really like that fact that a portion of the money from this model goes to support breast cancer research. A very admirable thing and a huge bow-down to Wilson for this campaign. Comparing to other models like Evolution, the NCAA Replica is more of an all-rounder. This is a universal ball that offers a great value simply because of its versatility. If you are looking for a ball that can be effectively used both in and outdoors, this is one of the best choices in the market.